Your attention is a commodity. That's one of the takeaways from Matthew B. Crawford's "The World Beyond Your Head." On a daily basis, hundreds or even thousands of things fight for your attention — that's how valuable it is. Crawford's book focuses on concentration in our overwhelming, digital age — how we've lost it and how we can get it back. It's not the standard cry of "too much screen time," however. He takes another tack. 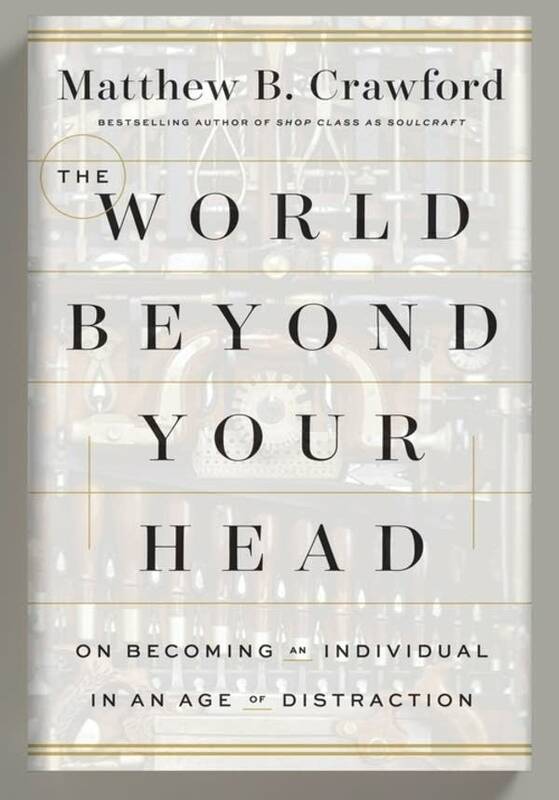 "The World Beyond Your Head" was the April selection for The Thread Book Club and Crawford joined MPR News' Kerri Miller to discuss the intricacies of concentration. Javier Morillo, union president of SEIU 26 and contributor to the "Wrong About Everything" podcast, also joined the conversation. One factor that can't be ignored? The importance of silence. Think about the business class lounge at the airport. "It's very quiet," Crawford said. "You hear the occasional tinkling of a spoon on china." This is a space where it is easier to concentrate and focus, but it costs money to get there. "If you want your attention back, you're going to have to pay for it." Thinking of attention as a commodity is a way to protect it. "I make an analogy to clean air and clean water, things we absolutely need and that make everything else we do possible," Crawford said. "I think silence is a resource very similar to that, but we need to make a claim for it on our own behalf."